Smart Start has the most service center locations and offers the quickest installation times on record. Our goal was to develop an Ignition Interlock Device (IID) that does its job without broadcasting to the world what it’s doing. 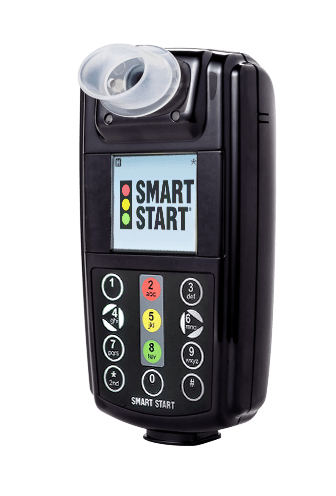 With a low installation and a low monthly monitoring fee, Smart Start offers one of the best values around for Ignition Interlock Devices. With our state-of-the-art fuel cell technology, you won’t risk a false positive. If you miss an appointment, the unit will allow remote unlocking so you can avoid towing your vehicle to a service center. The device has an amazing multi-line color display. *Should you miss an appointment and need to have your SSI-20/30 unlocked for a few hours to avoid towing, the device can be unlocked remotely, per your state’s law. For example, Michigan currently prohibits the remote unlocking of interlock devices. Contact a Smart Start customer service team member today for your state specific requirements.